The lovely Cherie Marquez, founder and creator of FOUND + GATHERED and la fleur kitchen reached out to interview me about romp. It was an honor and a pleasure! 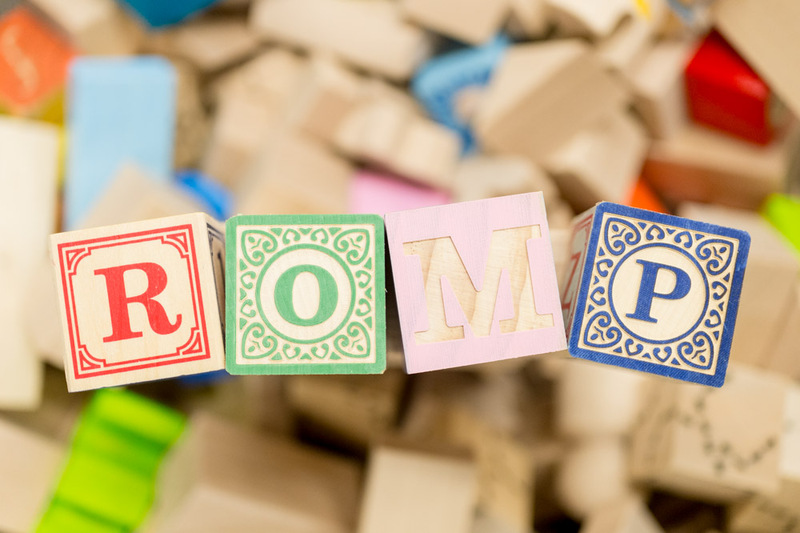 1) Tell us about Romp and how it came to be? We were living in San Francisco, and I was running a market research firm in the city. Our son was born (early – hello, NICU!) and after a few weeks in the hospital and a few more on maternity leave, I went back to work. Going back to work didn’t require any thought. It was automatic. I loved my career and loved what I had built. But it weighed heavy on my heart to leave him during the day, and I felt guilty spending so little time with him in the evening. And this cycle of emotional strife went on for about 10 months. …until it didn’t. Our road to parenthood was long, confusing, and difficult. My passion and zest for my career was beginning to wane. It is challenging to put into words, but I felt this constant pull, this tug, a calling of sorts - towards my new little family. Towards something far closer to center, where working more than full time and trying to balance new motherhood had swung things too far from that. I never thought that I would be a stay-at-home mom. It wasn’t my plan. I guess, never say never. But I made a deal with myself before jumping off that ledge…to tackle motherhood and this new life the same way I did my career. And as a researcher, I headed down the path of research and the rabbit hole that would then occupy my thoughts and define my dreams. My research left me feeling frustrated, disappointed, and even angry. Because everything that our children needed was the opposite of what was being offered and trotted out to us new, bleary eyed, sleep deprived parents. And so I guess romp was born out of these feelings of frustration, disappointment and anger – coupled with my unwavering commitment to do things differently for our son. 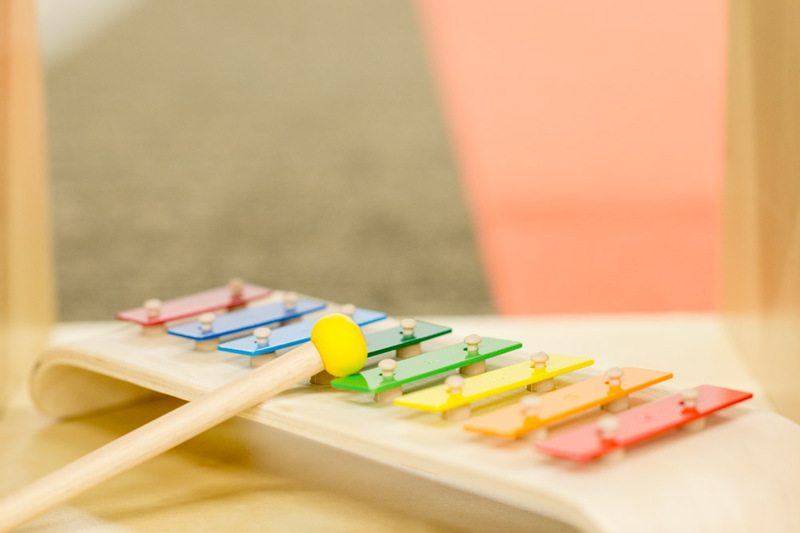 I set out to create a space where families could play, learn, and celebrate. A mindful and thoughtful space that was deeply rooted in early childhood development, where a community could come together and feel a little less alone in this parenting journey. And so romp was born. A center for play, classes & enrichment, parent ed…and a beautiful private event space to celebrate those special occasions with family & friends. 2) In your opinion, what is the importance of 'Play' for not just the child, but also the parent? Play is so, so important for all of us – big and small. It’s a time to be social and connect with others. It supercharges learning and creativity, and increases productivity. Not to mention is a huge stress reliever and mood enhancer. Play connects us to what is primal within ourselves, but most of us have forgotten what it was like to engage in free play as children. Play looks so different than it did many years ago. Our concerns as parents have changed and so has the landscape of play. We are so fortunate to be able to expose our children to all sorts of new activities and opportunities. But good, old-fashioned free play is still absolutely crucial for our children. Play allows children to explore their curiosity, develop their creativity and imagination, all while improving dexterity, physical, social, emotional, and cognitive strength. They get to learn how to work within and test those social boundaries, while learning how to work collaboratively, share, negotiate, resolve conflicts and advocate for themselves. Now, there really aren’t classes that we can take our children to learn these life skills. And it’s through play that they get to practice these skills and figure all this stuff out. When we think about play at romp, we think of it as the entry point for us to do good work. Through play, we challenge our children cognitively, socially, and emotionally – individually and in small groups. 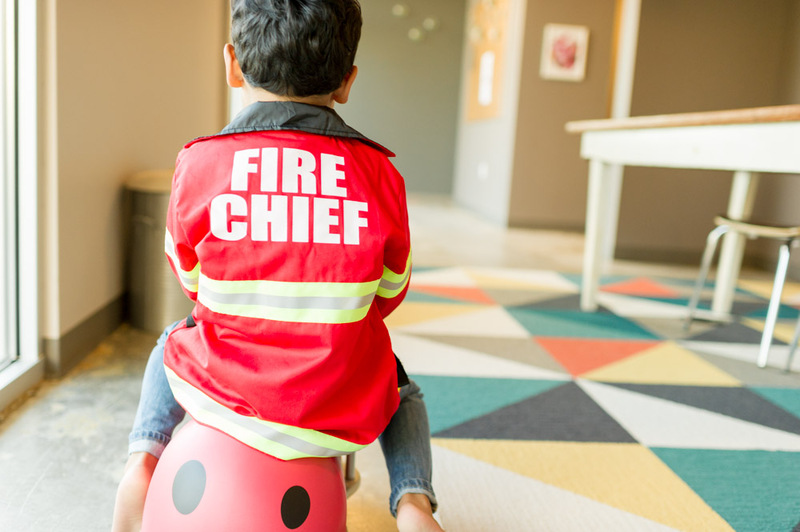 We use play as a way to work on developing those crucial executive functioning and impulse control skills. And honestly, we just really like to have a lot of fun! 3) Romp is very much a community for families, can you share a bit more about that community, what could one expect when joining to be part of Romp? Our community is a mix of single and dual income households. Stay-at-home moms, grandparents, nannies and babysitters visit our space every day either with membership or drop in passes. We’ve got babies, toddlers, homeschoolers, Pre-K and elementary school students as members – along with their significant (adult) others. A large number of our families are transplants, new to the area, trying to make their way in an unfamiliar city. These families are without their roots and without their village. And it is so heartwarming to see them make new friends and slowly start to rebuild their village, with people they can rely on – that make a new city feel more like home. People come into our space for many different reasons and agendas, but probably the biggest surprise to folks is this sense of community we’ve been able to create. I think that the pull or tug I felt on my heart and soul way back then, was a nudge in this direction. I thought I created romp for my son, but it’s clear now that I created it for so many others as well. They just didn’t have names or faces at the time. Now I see very clearly those faces and know their names. And I hope they feel truly known and seen by being a part of our community. 4) Your space is very simple and modern, who did the design and did you already have a vision of what you wanted? We looked at a ton of spaces and it took us about a year to find our Bellevue location. And while I knew very clearly what I wanted the space to feel like, remained open to how that feeling could translate into a physical space. Each space has its own quirks and limitations, so it was important to remain flexible. I worked with JPC Architects and HST Construction to help me navigate city permits and fire code, as well as build out a multi-purpose floor plan. Our space was a grey shell, meaning it was a completely raw space – no demo was necessary. There was one existing bathroom, which we decided to keep and work around. Otherwise, everything else was going to be brand spanking new. New spaces can sometimes feel cold and antiseptic, so it was important to inject some soul into the space. I turned to Debbie Nordstrom, and her team of fantastic antique dealers over at Haystack Antiques, to help me curate a collection of items to use at romp. I bought things over the course of a year – stockpiling them in our garage. I didn’t really have a design plan when it came to décor and fixtures. I bought things I loved – in a serendipitous fashion - that were mainly functional and sometimes just plain beautiful. My vision was a space that was modern, and at the same time old & nostalgic – with clean lines and simplicity of design. I wanted it to feel like your home away from home. A space that was soulful, mindful and thoughtful, where the interior design matched the respect that we have for ourselves, our children, and our community. 5) Romp offers so many fun and different activities, including camps, what are some of the favorites? We do a lot in the space, all in the pursuit of balance and for the sake of fun. Child-led. Adult-led. Structured. Unstructured. We present all different types of play, and have designed a space that is inclusive of all types of learners and abilities. We also have a fantastic roster of partners that come and teach in our space. Engineering for Kids – which teaches all types of engineering classes & LEGO Robotics workshops – was the first partner to sign up to work with us. And now we’ve got yoga, woodworking, cooking, tinkering, sensory, science, art, and math. We’re always on the lookout for inspired and creative programming, and planning to dial all of this up come Fall. But my absolute, most favorite activity in the space is just good, old-fashioned play. I love their sometimes contemplative, and often boisterous & zany play. I love watching the 3 year olds get in the mix with the 5-6 year olds. I marvel at 6 year olds teaching 3-4 year olds how to fold their own paper airplanes. I can’t wait to see what they create in our tinkering Laboratory. I get a little misty thinking of the babies that were crawling when they first joined, and are now running, tripping, and falling to keep up with their older brother or sister. I find peace in our tiniest members, napping in their carseats, while their exhausted mothers gather energy from adult interaction! And it is THE BEST when parent & child are connecting with each other through play. 6) Tell us about the person behind Romp, will you share a little more on you, Anne. What can we find you doing when you're not running the day to day of Romp? I was born and raised in Southern California, where the sunny warm/ hot weather did not agree with my skin allergies. I found heaven when I moved to Seattle in the 90s, what with its mild temps and beautiful landscape. I met my husband in Seattle – married in Canada – and my career took us to New York and San Francisco. This is the third time I’ve called Seattle home. We live on the Eastside, but I see myself as more of a city girl. I love a good pastry, and prefer cakey vs fudgy brownies. You can usually find me exploring the city in search of the best aforementioned sugar & carb heavy products. Pizza too. I wish I had more time to cook, or at least keep taking classes at the Pantry at Delancey. House of Cards, Downton Abbey & Sherlock are my jam. And while I LOVE to travel, haven’t had the chance to do much since romp opened. Maybe I’ll combine work and pleasure and travel to scope out cities for more romp locations. I’m a dreamer. 7) Romp is based on the Bellevue area, how does the Bellevue area make it a perfect fit for Romp? What do you love about your neighborhood? Our location in Bellevue is great because it is centrally located and easy for folks to get to from many parts on the Eastside, and even Seattle because we’re just on the other side of 520. We’ve got a lot of kid-centric businesses in our neighborhood- and things are only going to get bigger and better with the light rail coming in and the Spring District development just a few blocks away. Whole Foods, Trader Joe’s and Bellevue Square are within a mile or two from our space. It doesn’t necessarily have that “neighborhood” feel like in New York and San Francisco, where you’ve got your cheese shop, bakery, independent boutiques and grocery store all within a few blocks. We often bring these things into our space for special events and workshops. But we’re hoping our next location will become part of a dynamic neighborhood where these amenities – while outside of the four walls of our space – still serve the community within.